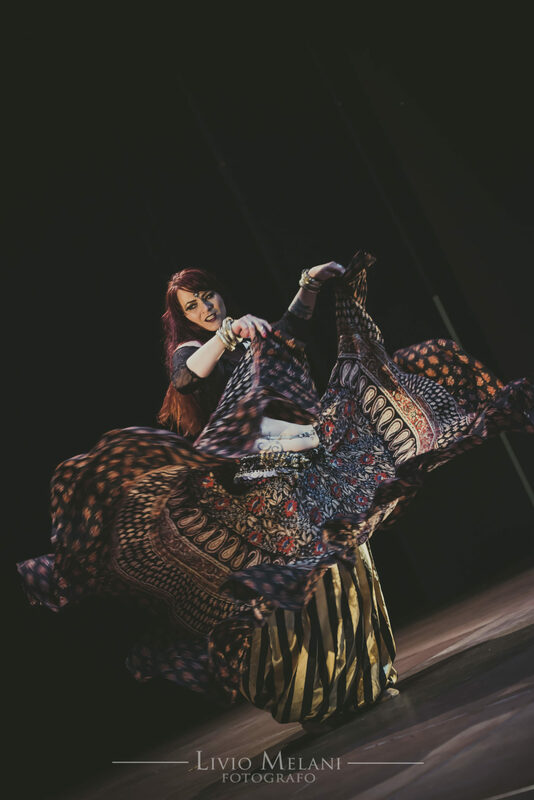 Gudrun is certified ATS® Bellydance instructor Sister Studio to FatChance BellyDance® 2011, director of Devadasi Caravan and creative member of ATS® Sisters Collective and is constantly taking further training in the SSCE-program. Gudrun is invited to teach and perform at national and international events (among others. Tribalfestival Hannover, Tribal UMRAH, ATS® Homecoming, Back to the Roots Toulouse, Black Forest Tribal Fest, 360° Oriental, Tribal Convention Nürnberg). To convey the latest developement and a good and healthy dance technique, Gudrun is consrantly taking training with the teachers from FatChanceBellyDance®, f.e. @ ATS® Homecoming in San Francisco or the ATS® Black Forest Intensive . In June 2015 Gudrun did successfully pass certification for Jamila Salimpour Format Level 1. Gudrun has a profound knowledge of anatomy and movement from being a Shiatsu-practitioner and her further training in Yoga. In her workshops and classes she takes extra care of a holistic and healthy dance technique.